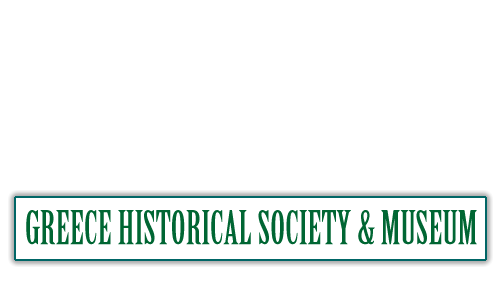 The name of the Society shall be The Greece Historical Society. The purpose of the Society shall be to collect and preserve the history of Greece, NY and to encourage community interest in the town’s history and history of the surrounding region. Collect and preserve artifacts, photographs and slides, maps, printed materials, manuscripts and diaries that document people, their way of life, events, and facts of the past and present. Maintain the Greece Historical Society property. Plan and maintain both fixed and changing exhibits that interpret Greece’s history for the community. Conduct presentations for schools, community organizations and the general public. 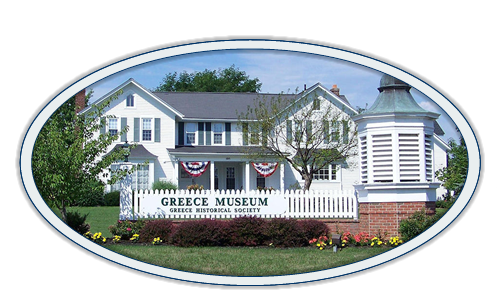 Maintain the Greece Historical Society Gift Shop offering items for sale on local history, including books, booklets and pamphlets written and published by the Society. Provide special events that promote interest in local and/or American history. Encourage the preservation of historic buildings in the town. There shall be two (2) classes of membership: Active and Honorary. Active members shall be the only membership class entitled to vote on matters that are decided by the membership. (a) There are two (2) categories of active members: life and annual. (b) Life membership is achieved with a single payment of $500.00. Life members are entitled to special recognition at Society events and in Society publications. Life members are exempt from annual dues. (c ) Annual membership is achieved by individuals or organizations by completing an application and paying the specified dues, the level of which shall be set by the Board of Trustees. Honorary membership may be conferred upon individuals or organizations by a two-thirds (2/3) vote of the Board of Trustees in recognition of significant contribution to the objectives of the Society. The annual meeting of the Society shall be the third Thursday in January. Special membership meetings of the Society shall be called by request of a majority of the Board of Trustees, or on petition to the Secretary by ten (10) or more active members of the Society. A meeting called as the result of a petition shall be held within two (2) weeks after the date the petition is presented. Five per cent (5%) of the active membership must be present at a general membership meeting to constitute a quorum. Notice of Society meetings shall be given to each active member by mail to the last known post office address or electronically communicated. Notice of the Society annual meeting shall be mailed at least thirty days in advance of the meeting. Notice of Society Special Membership meetings shall be distributed at least ten (10) days in advance of the meeting. Membership dues are due May 1st of each year. For initial applications received between March 1st and May 1st, dues shall not be required until the following year. Dues for all Life Members are paid in one payment at the inception of the life membership. Honorary members are not required to pay annual dues. If annual dues have not been paid by June 1st, the Secretary shall notify the member of such lapse. If payment is not made by July 15th, the member shall be dropped from the active membership rolls and mailing lists. Such inactive memberships may be reinstated at any time by payment of the current year’s dues. The direction and management of the Society and its property shall be governed by a Board of Trustees consisting of not less than six (6) and not more than 12 Active Members in good standing elected by the membership of the Society. The Board of Trustees may adopt such rules and policies as it deems necessary to conduct the affairs of the Society and shall have full power to act on behalf of the Society in carrying out all valid Society purposes. Trustees shall be elected for a term of three years, or until their successors are elected. Terms shall be established so that one-third (1/3) of the Board is elected each year. The Nominations Committee shall prepare a slate of nominees for positions on the Board of Trustees. The preliminary slate shall be submitted to the Board of Trustees at their October meeting. Other nominations may be made by active members of the Society. Such nominations must be made in writing at the October Trustees’ meeting and signed by not fewer than ten (10) active members. The Nominations Committee will confirm such nominees are active members in good standing and are willing to serve before the November Trustees meeting to finalize the slate of candidates. The Board of Trustees shall be elected at the annual meeting of the Society. The Secretary shall prepare a ballot that contains an alphabetical list of all nominees. The ballot shall also specify the number of years of Trustee positions. The President shall appoint a committee of three (3) election inspectors from the active membership, who are not members of the Board of Trustees or candidates for election, to supervise the election procedure prescribed by the Board. If the seats up for election are uncontested, a voice vote may be taken. The Executive Director and the Town Historian shall be ex-officio members of the Board and they are not voting positions. The number of trustees may be increased or decreased by a vote of the active members or by a majority vote of all of the trustees. No decrease in the number of trustees shall shorten the term of any incumbent trustee. Newly created trusteeships resulting from an increase in the number of trustees and from vacancies occurring in the Board may be filled by a vote of a majority of the trustees then in office. A trustee elected to fill a vacancy shall hold office for the balance of that term. Any or all of the trustees may be removed for cause by vote of the active members of the Society or by majority of the Board. Any trustee who misses three (3) consecutive meetings of the Board shall be notified to appear at the next Trustees meeting and show cause why he or she should not be removed from the office. A trustee may resign at any time by giving written notice to the Board, the President, or the Secretary of the Society. Unless otherwise specified in the notice, the resignation shall take effect upon receipt thereof by the Board or such officer, and the acceptance of the resignation shall not be necessary to make it effective. Upon resignation or the election of their successor, all trustees and officers shall give all records, books and other property of the Society in their possession to their successor within fourteen days of their installation. The Board of Trustees shall meet on the second Thursday of January, March April, May, September, October and November at the Greece Historical Society facility and the meetings are open to active members. A special meeting of the Board may be called at any time by the President on not less than twenty-four (24) hours notice to all Trustees or by three (3) trustees with five (5) days notice to all the Trustees. A majority of the Board of Trustees shall constitute a quorum at any Board meeting. The officers of the Society shall be chosen by the Board of Trustees. The officers of this organization shall be: President, Vice President, Treasurer, and Secretary. The trustees shall hold an organizational meeting within thirty (30) days of the annual election for the purpose of electing said officers for the ensuing year. The trustees shall initially elect a President. Following that, the Trustees shall successively elect a Vice President, a Treasurer, and a Secretary. All votes shall be cast by secret ballot. All officers must be a Trustee and shall serve at the pleasure of the Board. Each officer will hold office until the organizational meeting of the board following the next annual meeting or until his or her successor has been elected or appointed. The offices of President and Vice President shall be limited to three successive terms of office. Any officer elected or appointed by the Board of Trustees may be removed by the Board with or without cause. Any officer may resign with or without stating a reason therefore at any time by giving written notice to the Board or President. Such resignation shall take effect at the time specified in the written notice or, if not indicated, at the time of the delivery. In the event of death, resignation or removal of an officer, the Board shall appoint a successor to fill the unexpired term. During the absence or disability of both the President and Vice President, the Board shall appoint an acting President. During the absence or disability of the Treasurer or of the Secretary, the President shall appoint an acting Treasurer or Secretary. Such acting officer shall have all the powers, functions and responsibilities of the elected officer. The President shall be the chief executive officer of the Society; shall preside at all meetings of the members and the Board; shall have responsibility for the general management of the affairs of the Society; shall execute all contracts on behalf of the Society; shall see that all orders and resolutions of the Board of Trustees are carried into effect; and shall submit a full report of the work of the Society at the annual meeting. The President shall appoint committee chairs, subject to the approval of the Board of Trustees. The President is an ex-officio member of all committees. The President shall have general supervision and direction of all other officers, agents and employees of the Society to see that their respective duties are properly performed. The Vice-President shall assist the President in all of his or her duties; shall perform all duties and functions of the President in case of absence, vacancy, or disability of the President; and shall perform such other duties as the Board shall prescribe. The Treasurer shall be the chief financial officer and chief accounting officer and shall keep complete books and records of accounts of the Society. The Treasurer shall maintain banking arrangements to receive, have custody of, and disburse the Society’s moneys and securities. The Treasurer shall disburse funds as authorized by the Board of Trustees and only basedupon proper supporting documentation. The Treasurer shall maintain adequate financial records ready for review by any Trustee at all times. The Treasurer shall present monthly financial statements to the Board of Trustees and a written annual report setting forth the entire financial assets and liabilities of the Society at its annual meeting. The Secretary shall keep the minutes of the Board of Trustees, the annual meeting, and the Executive Committee meetings and to distribute the minutes of each preceding meeting. The Secretary shall file and retain all documents relating to the business of the Society. He or she shall have custody of the seal of the Society and shall affix, and attest the same to documents when duly authorized by the Board of Trustees. He or she shall issue notices of all meetings of the membership and of the Trustees when required by law or these by-laws. The Secretary shall maintain a current enrollment of members and their contact information. He or she shall attend to such correspondence as may be assigned, and shall perform all such duties incidental to the office. The Treasurer, and such other officers or agents of the Society as the Board may require, shall executea bond in such sum and with such surety or sureties as the Board may direct, conditioned upon the faithful performance of his or her duties to the Society and including responsibility for negligence and for accounting for all property, funds, or securities of the Society which may come into his or her hands. All committees of the Society shall be appointed by the Board of Trustees, and their term of office shall be for a period of one year or less if sooner terminated by the action of the Board of Trustees. The standing committees shall be Executive, Audit and Nominations. The Board may establish such other committees as it deems necessary to carry out the purposes of the Society. The Executive Committee shall be comprised of the President, Vice President, Secretary, Treasurer and one other board member. The committee may transact necessary business of the Society in the interim between board meetings, always subject to the approval of the Board of Trustees at its next meeting. The further purpose of the committee is to assist the President in the management of the affairs of the Society. The committee shall meet as needed. The Audit Committee shall consist of no fewer than three (3) trustees. The purpose of the committee is to conduct an audit of the Society’s accounts, assets, liabilities and financial activities for the prior fiscal year. A copy of this audit shall be presented to the Board of Trustees. The Audit Committee may work with an independent auditor to conduct the audit and may recommend accounting practices and controls. The Nominations Committee shall consist of no fewer than three (3) trustees who shall prepare a preliminary slate of nominees for positions on the Board of Trustees for the October trustee meeting. The committee shall investigate the eligibility of nominees before the slate is voted upon by the membership at the next annual meeting. The fiscal year shall run from January 1 through December 31. These by-laws may be amended by a two-thirds (2/3) vote of active members present at a meeting of the Society provided that notice of the proposed change shall have been communicated to each active member not less than ten (10) days prior to such meeting. In the event of dissolution of the Society, all the remaining assets and property of the Society shall, after necessary expenses thereof, be distributed to such organizations as shall qualify under Section 501 ( c )3 of the Internal Revenue Service Code of 1954, as amended, subject to an order of the Justice of the Supreme Court of the State of New York. If there be any conflict between the provisions of the Articles of Incorporation and these By-Laws, the provisions of the Articles of Incorporation shall govern.